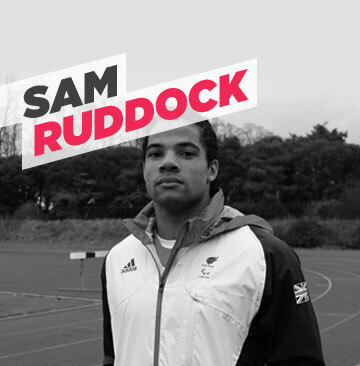 A Paralympic 100m & 200m sprinter for Great Britain & Northern Ireland, who made his international debut at the London 2012 Paralympic Games. Sam suffers from cerebral palsy, specifically spastic diplegia, which affects balance, coordination and flexibility in various muscles around the legs and hips. He was a keen sportsman at school, often playing football, basketball and rugby. At Loughborough University he played American football, and was subsequently spotted by Charnwood AC Lead Sprints coach, Joe McDonnell who guided him through his first disability athletics season, towards the London 2012 Games. And a bit about Hambo's Foundation..